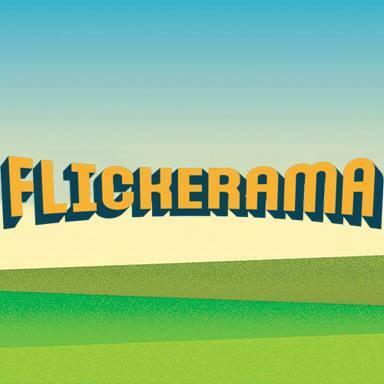 Today sees the public launch of Flickerama, the world’s first Greenfield Film Festival – to be held on the Great Tew Estate in the Cotswolds (Oxfordshire) from 14th to 16th August 2015. Five individual screens and arenas will host a weekend of cinema, from cult martial arts movies to children’s classics, catering for the celluloid whims of a 10,000 strong festival crowd. This is the ‘first event of its kind’ (what is colloquially being called ‘Glastonbury for films’) and things have been very hush, hush at Camp Flickerama – with organisers beavering behind their respective curtains to get things ready for the release of the Early Bird tickets today. But last week Birmingham Review was invited to a Q&A at the appropriately themed Sanctum Soho Cinema & Hotel, to hear a bit more from the team behind the Flickerama debut. “There has been a significant increase in Event Cinema over recent years,” explains organiser Tom Lawes, who also owns the Electric Cinema in Birmingham, “with the success of Everyman (chain of cinemas) and Secret Cinema showing how people want to go and see films but want to experience something extra. Broken down into five separate screens and arenas, Flickerama will host a “nothing off limits” programme of films, with different arenas catering for different audiences. The Main Stage will see a huge outdoor screen that’s ‘capable of accommodating a full orchestra and has the capacity for 10000 film fans,’ whilst The Boutique Screen will offer ‘a sophisticated ambiance with comfy seating a full bar and cocktail waiter service’. The Shock and Gore Screen, named after the successful series of events hosted at The Electric Cinema, will present a programme of ‘horror, science fiction, comic book and marshall arts films’. Extra activity on site will include live music – with The Blues Brothers band already confirmed to play alongside a screening of the John Landis film – a ‘memorabilia marketplace’, star signings, Director Q&As, a Zombie Walk, and as is de rigueur at any serious Greenfield festival on site camping/glamping will mean you’re never that far away. Plus Fickerama presents a series of themed food and drink stalls (alongside the more traditional festival fayre) where you can chow down on a film references from a tasty Big Kahuna burger to a Pan Galactic Garglebalster. Fingers crossed there’s no James Cameron buffet. There will also be “the world’s biggest ever screening of The Room” – Tommy Wiseau’s odd 2003 melodrama that achieved cult status for being, arguably, ‘the worst movie of all time’. Organisers are also looking for submissions from independent film makers to show during the weekend, welcoming ‘shorts, features and animations from across all genres’ that have been completed after 1st January 2014. Cost is £30 per film, with the final deadline on 24th May 2015 – all submissions to be made via Withoutabox. More details about the full Flickerama programme and further festival opportunities are to be released in the coming months. For the full story read Birmingham Review. Flickerama, the world’s first Greenfield Film Festival, will be held on the Great Tew Estate in the Cotswolds (Oxfordshire) from 14th to 16th August 2015. Early Bird tickets are on sale from today (24th Nov) until Feb 2015 – priced at £99.